Only A Few Left Don't Miss Out! 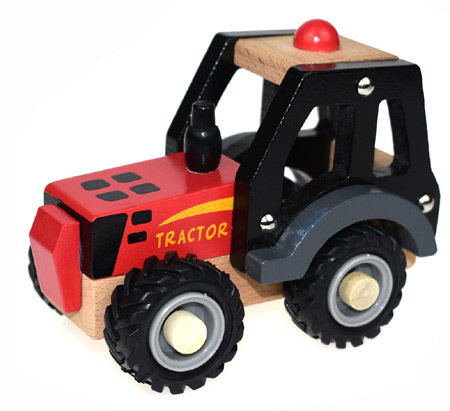 Wooden Toy Red Tractor is a lovely sturdy wooden toy with lovely chunky rubber wheels. This Wooden Tractor has lovely red paintwork with a yellow writing and stripe down the side. A wonderful tough little truck for all those jobs about the farm and suitable for 18 months plus. We like this because: "a lovely red tractor what more could you want!"